For those of us working with innovators seeking to build and grow much-needed businesses and bring new valuable new products to the world, it’s painful to survey the damage that has been done to the patent system in the United States over the past decade and the corresponding damage to innovation. Many factors have come together in a perfect storm of patent hostility, driven in part by rhetoric about dread “patent trolls” spread by Silicon Valley giants whose business models are threatened by the pesky patents of other parties but also by political hostility to pharma patents, perhaps because the unmanageable costs of Obamacare might be reduced somewhat if drug costs could be driven down by reducing the value of IP. The hostility came in several waves. The American Invents Act created several new ways to gut patents, most particularly the Inter Partes Review (IPR), which would allow opponents and their allies to file endless actions against existing patents to wear down the owner and in nearly 90% of the cases so far, eventually eradicate key claims. There would also be a series of Supreme Court decisions such as the Alice decision that would make it easier for the USPTO to reject patents by declaring the invention to be “abstract.” What does “abstract” mean? The Supreme Court refused to define the term in their decision, giving examiners and courts a hammer they can swing any way they want. 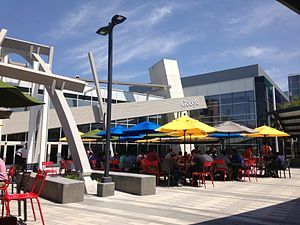 And then there would be a series of actions from the USPTO itself, headed by a former Google attorney highly sympathetic to the anti-patent sentiments of Silicon Valley, which went beyond the requirements of the law and of judicial decisions to exacerbate the hostility toward patents. One of the most shocking aspects of the war on patents has been the discovery that the judges of the PTAB, the Patent Trials and Appeals Board the runs the IPR system, have no code of ethics beyond the basic requirements for any employee in the Dept. of Commerce. Thus, unlike judges in any other area, the judges of the PTAB can take cases from their former clients. General rules for Commerce employees requires a one-year buffer for cases with a potential conflict of interest, but for judges in the US judicial system, the distance must be much greater. In general, a judge simply should not take a case involving a former client regardless of how long ago the financial relationship ended. But with the scandalous lack of a judicial code of ethics for PTAB judges, questionable cases occur and with easily predicted results. Gene Quinn and Steve Brachman of IPWatchdog write forcefully on this scandal here and here. The PTAB has been called the “death squad” of American patents, and some of its judges seem to relish that role. Michelle Lee, the Google-tainted director of the USPTO, has at least been removed from that position, and many patent practitioners and patent seekers hope that the new leader will be free from heavy Silicon Valley influence and will take bold steps to curtail the damage being done to the US patent system. Meanwhile, many innovators are looking to other countries to develop their innovations, including places like China where IP is increasingly valued and supported. May the US catch up! How Abstract Is Your Automobile? Posted by: Jeffrey Lindsay | Comments Comments Off on How Abstract Is Your Automobile? Be careful about the vehicle you’ve been driving. As sturdy, tangible, useful, and inventive as it looks to you, it may turn out to be merely an abstraction, perhaps nothing more than the mere idea of “transportation” or “going places,” making it unworthy of the thousands of patents protecting its numerous technologies — if the USPTO and America’s elite judges get their way. An abstract automobile? You don’t want to be caught dead driving one. Unfortunately, since the USPTO’s Patent Trial and Appeal Board (PTAB) just ruled that an MRI machine is abstract and thus not patentable under the odious and vague principles of the Supreme Court’s recent Alice decision, it could be that automobiles and virtually every other machine under the sun could be next on the anti-patent chopping block. Your trusty Toyota or your faithful Ford are about to go abstract on you, courtesy of the USPTO. Look out. In the PTAB’s elite view, as Gene Quinn explains, all the physical wizardry of the mighty MRI machine as claimed in a recent patent application for an improved MRI is just an abstract idea based on the abstraction of “classification.” It defies logic and defies the requirements of the Alice decision and the USPTO’s rules for applying Alice, but the PTAB has become a patent munching zombie that doesn’t seem bound by logic or law. They are one of the strongest forces promoting innovation fatigue. Many innovators are just giving up or going to other nations where IP rights are more meaningful. The anti-patent forces that have taken hold of far too many influential posts in America view property rights and especially intellectual property rights as a barrier to the ideal society they envision. If only we could get rid of patents, they seem to think, drug prices would fall and Obamacare, for example, would not be such a disaster. But the bounty some intellectuals promise by weakening property rights is an illusion, for without IP rights, what is the incentive to take on the risks and costs of innovation if you cannot benefit from the occasional successes that come from your uncertain work? If your hit product can be taken and marketed by others who did not have to spend so much time and money developing it, then the inventor is often at a competitive disadvantage to everyone else. Why bother? America’s war on patents is a war on the future of innovation. It’s a war we cannot afford to lose. Comments Comments Off on How Abstract Is Your Automobile? A culture that can protect trade secrets is vital for innovative companies. Such a culture becomes especially important in collaborative innovation efforts where failure to protect trade secrets can severely damage partners and the offending company’s reputation. Chinese companies are increasingly recognizing the value of what the West calls “open innovation.” In fact, forms of open innovation were the basis of a great deal of innovation in China long before the term was coined in the West. Innovation in China tends to be fueled by guanxi with trust between partners being far more important than the legal details drafter by lawyers for a joint venture or other collaborative effort. Innovation in China, though still largely overlooked by the West, frequently occurs as trusted friends or acquaintances discuss their needs and challenges and find new solutions by crossing disciplinary borders. The many partnerships and allies involved with leading innovators like Ten Cent, Alibaba, Foxconn, and Huawei testify to the fluidity and rapidity of innovation in China achieved via collaboration and shared vision among partners. 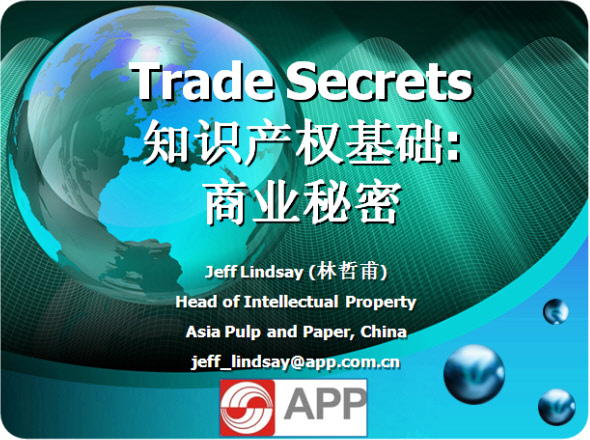 However, when companies in China or anywhere collaborate to find innovation, the inevitable sharing of trade secrets between partners puts the players at risk should there be inappropriate disclosure. Two leaders may fully trust each other, but if one of them leads a company with a weak IP culture where individuals fail to respect trade secrets, the partnership can be destroyed and severe damage can be done. Those engaging in a collaborative venture should be aware of the risks and consider their own culture and processes, as well as the culture, processes, and track record of partners. Zealous efforts are needed to avoid harm, even when there is no intent to harm or defraud. Simple slips can disclose information inappropriately and hurt a partner and one’s own reputation. Those pursuing open innovation need to pay particular attention to trade secret protection and ensure that only a few well trained employees will be exposed to the trade secrets involved in the partnership. Unfortunately, university culture in China and throughout the world, generally speaking, is inherently geared toward sharing and publishing information, so partnerships with universities should be carefully pursued with the realistic expectation that information may be leaked. Containing the scope of the partnership and minimizing any sharing of corporate secrets can reduce risks, while still allowing a company to tap the many riches of knowledge and innovation in China’s academic community, where many companies are finding success in advancing innovation. I had the privilege of speaking at the Global IP and Innovation Summit, Sept. 4-5, Shanghai, organized by Managing IP, an outstanding IP magazine. This was a terrific conference with about 300 participants, opened with a keynote from the Acting Director of the US Patent and Trademark Office, Teresa Stanek Rea. I got to chat with her and a friend of mine from the State Department before the conference began, and was deeply impressed with her vision and understanding. She gets IP and will be a great boon to the USPTO and to the US economy, if she stays on long enough. Fingers crossed that she will continue there for many years! Overall, the conference exceeded my expectations. Almost every speaker on day one had me taking notes and feeling grateful for the information being shared. Well done, Managing IP! In the session on trade secrets, I shared some experiences regarding trade secret theft and gave some tips on creating strong trade secret policies and practices. One important tidbit I offered is that multifunction copy machines can be an easy route for unintentional loss of trade secrets since they typically have hard drives that may record imaged of copied or printed documents, and that data may go out your door when the copier is sold, junked, or turned over to someone else. That’s a tip you can act on today to better protect your company. For more information see the story at iHealthBeat and the helpful guide from Xerox on how to prevent data loss from photocopiers. Here are my slides in English and Chinese from my brief presentation, part of a panel discussion led by Esther Lim of Finnegan in Shanghai with attorney Will Rao from McAndrews, Held and Malloy in Chicago. The slides do not contain the stories I told and other information shared. In many large corporations, there’s a painful and frequently repeated scenario of invention theft that we treat in several ways in the book, Conquering Innovation Fatigue. The invention theft I’m thinking of today is not from foreign spies or evil competitors. It is internal theft, wherein a powerful employee or team within a corporation takes credit for another individual’s or team’s innovation. Sometimes the theft is so blatant that a powerful person files a patent in his or her own name, leaving off the name of the real inventor. Sometimes the real inventors are told to drop the project completely and hand over the keys of the new vehicle they have created so that someone else can ride it across the finish line and take all the glory. When this happened to a truly brilliant man in a large company where I was providing some guidance in the past, I warned him that his kind of behavior was deadly for the future of their company. When people lose trust for their company and fear that their innovations will be stolen, they clam up, shut down their innovation engines, and save their best thinking for someone else, such as their own business one day or a future employer. When people don’t get any credit for what they do, they quit doing. If a company tolerates or even rewards internal invention theft and doesn’t zealously seek to reward true inventors, real inventors move toward secrecy or inactivity and the light of innovation goes dark. This is the fast and easy way to bring your company to your own version of the Dark Ages. Yes, time travel is easy. You can go back in time by decades or centuries when you crush innovation by allowing it to be stolen from within. Going backwards is surprisingly fast. Once you feel the pain of your mistake, clawing your way back to the modern world might take a little longer than your think. Actual, most companies shrouded in the mists of the Dark Ages never realize what they’ve been doing wrong because they are out of touch with the voice of the innovators within. They can spend a lot on consultants solving the wrong problems and talking to the wrong people and never rebuild the trust they have shattered. When it comes to long-term corporate innovation success, trust between employees and the company is everything. The Bogus IP Registration Scam: Becoming a Global Phenomenon, Beware! Posted by: Jeff Lindsay | Comments Comments Off on The Bogus IP Registration Scam: Becoming a Global Phenomenon, Beware! The good folks at the China Law Blog recently discussed a common scam that occurs in China. Actually, this is a scam that is shaking down small and large companies and lone inventors all over the globe. I’ve warned against it in the US for a long time and was intrigued to see it is going full-bore here in China. When you file or obtain trademark registrations or patents, scammers are likely to send you an invoice asking for some large sum of money in return for being “registered” in their international database of patents or trademarks. In the Chinese version of the scam, you may received a bound volume of Chinese law with an enormous invoice. Failure to pay, they will tell you in annoying repeat calls, could result in all sorts of problems. Don’t pay. Don’t waste your time with them. In US and European versions of the scam, the invoices sometimes come from Serbia or Croatia. But they can come from anywhere. If it’s from the government where you registered or filed your IP, throw it away. Unfortunately, enough businesses and gullible inventors just routinely pay invoices without asking tough questions that the scam is successful, thus causing it to spread. Don’t be fooled. When your innovation results in being ripped off, you’re on your way to innovation fatigue. Steer clear. Comments Comments Off on The Bogus IP Registration Scam: Becoming a Global Phenomenon, Beware! Many people in the West think of China as a copier exploiting the IP of the West and generally ignoring IP rights. In reality, China, the nation where I now live, has made steady and rapid progress in building an IP system and in enforcing and respecting IP rights. Companies are increasingly able to protect their IP in China and have it enforced successfully. Successful experiences in enforcing IP has led some Chinese consumer products companies, for example, to become much more serious about protecting their innovations in China and beyond. Chinese companies are now racing to create strong patent portfolios not only in China but overseas as well. China’s tax incentives contribute to this as does its increasingly strong patent system, and the strong investment in R&D in this nation and the growing technical competence and creativity of China has led to a serious need to protect Chinese IP from infringement by the West and others. China is becoming the world’s leader in filing patents. In 2011, China is expected to overtake Japan and the United States for the #1 spot as top patent filer. They appear to be leading the world in terms of the number of patent law suits being pursued in Chinese courts, with significant awards being made that should encourage companies to pay more attention to patents here. In many areas, Chinese innovators are leading the world and are backing up their work with aggressive international patent filings. My own study of biofuels patents, for example, shows that China is becoming the world’s top source of IP related to biofuels and other plant-based bioproducts. Chinese universities are filing patents in many areas and have even had success in courts enforcing them. China on all fronts appears to be accelerating its move toward being a source of global IP and innovation. The July 13, 2011 issue of the China Daily that I picked up last week illustrates the growing importance of IP. Page 5 had a story, “Courts Do More for IPR [Intellectual Property Rights] Protection.” The article reported that the Chinese government is seeking to learn from experience in the West to further improve and accelerate its legal system to strengthen IP protection. I should note, though, that Chinese courts already have a reputation for being much faster than Western courts, so I hope they don’t learn the slow part from the West. The article also reported that over 9,000 arrests have been made in the past 9-months in efforts to crackdown on piracy and other violations of IP rights. Nearly 13,000 underground factories have been closed in another campaign and nearly 5,000 gangs selling illegal goods have been broken up. In this 9-month period, 2,492 IP cases were brought to Chinese courts and 1,985 cases were adjudicated. In the same issue, page 17 had a section called “ipscene” with IP-related news stories from around China. There were reports on China’s proprietary subway noise reduction technology being installed on Beijing’s new line 10; on the rapid growth of China’s LED industry; on the advances in diesel design from Yuchai Group which now has over 600 patents and has become a leading force in “green power”; and on a low-cost solar water heater being patented by inventors from Jinan. There was also a report on prison terms and fines for producers of counterfeit liquor. On the same page was a half-page article on grassroots inventions at a national innovation exhibit, and an article about educating Chinese children to boost innovation. That’s a lot of IP and innovation content for a popular newspaper, and reflects the importance of these topics in China. As the West continues to make patents more difficult to obtain and less valuable, frustrating innovators and contributing to innovation fatigue, China is doing the opposite. They are out to build a stronger IP system and make IP more valuable. They are encouraging the pursuit of IP protection and the creation of IP, and will continue to surpass the West in many measures. The pace of innovation in China continues to accelerate. Now companies, such as the one I work for, will increasingly be concerned not with copying what the West has, but in preventing the West from copying what is created here. There are further ironies to be revealed in this adventure. I am delighted to see Wired Magazine feature a story about the new book on the largely untold story of one of the original inventors of the computer. Nearly everyone has heard the standard story of the invention of the ENIAC computer at Penn State by a team led by John Mauchly and J. Presper Eckert Jr. However, as is so often the case in the world of innovation, those who get public credit for an invention may not be the original inventors. In many cases, one can make a case that key elements of a successful invention were borrowed or even stolen from a neglected inventor who deserves at least some of the credit. In “Pulitzer Prize-Winning Novelist Tells the Tale of the World’s First Computer” by Gary Wolf, we learn that John Vincent Atanasoff with his partner Clifford Berry were already working in the 1930s on assembling a computer in the basement of the physics building at Iowa State University. Their invention was finished in 1942, four years before ENIAC was finished. About the size of a large desk, the Atanasoff-Berry computer (ABC) could do laborious calculations rapidly. It was relatively unknown, but was known and admired by other inventors working on related problems, including some of the team that would develop ENIAC. Smiley learned about his life at Iowa State, where Smiley studied and taught. [At Iowa State,] she met someone who plays a minor, ignominious role in her tale: a professor who told her that, as a graduate student, he had been the one to dismantle and throw away the prototype of some strange calculating device that had been left behind in the basement of the physics building. The first digital computer was lost. “He ultimately went on to become the head of the computer science department,” Smiley says, “and he told me that destroying that computer was one of the great regrets of his life.” It is out of such personal twists and ironies—a novelist’s materials—that Smiley builds her tale, capturing both Atanasoff’s genius and, at the same time, the forces of chance that influence invention. It is of such twists and ironies that the journeys of many other great inventors are formed, some of whom we discuss in Conquering Innovation Fatigue. The problems that deprive inventors and innovators of the due credit and reward for their work are often part of the innovation fatigue factors that can wear innovators down and decrease incentives for innovation for many. There are things inventors can do to improve the odds of success, and of receiving credit for their work. May great inventors never be forgotten!